The first and most exceptional definitive study ever written on the Wild Card. 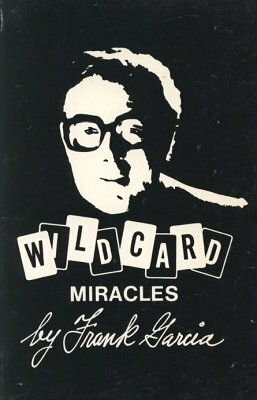 The classic miracle of the century and forerunner of all packet tricks is the Wild Card. Many of the routines have been closely guarded and found print for the very first time in this publication. Within the confines of these covers you will find revolutionary new routines, ideas and show stopping effects which are diabolically different, superbly written and magnificently illustrated. When Frank Garcia speaks, all magicians listen. When Frank Garcia writes, everyone reads his books. When they see Frank Garcia perform they know that he is second to none. Frank Garcia was one of the finest all-around magicians in the world, with recognition from performing artists and writers of magic. Francis Carlyle's "Examine the Card"
1st edition 1977, 147 pages; 1st digital edition 2016, PDF 108 pages.